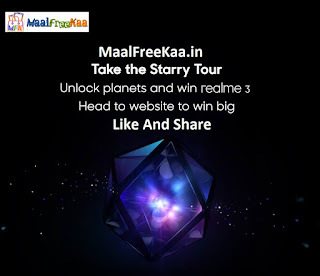 RealMe 3 One The Way Grab Fast Play Game and Get Free RealMe 3 Smartphone. Looks like the stars have aligned to make your wish come true! 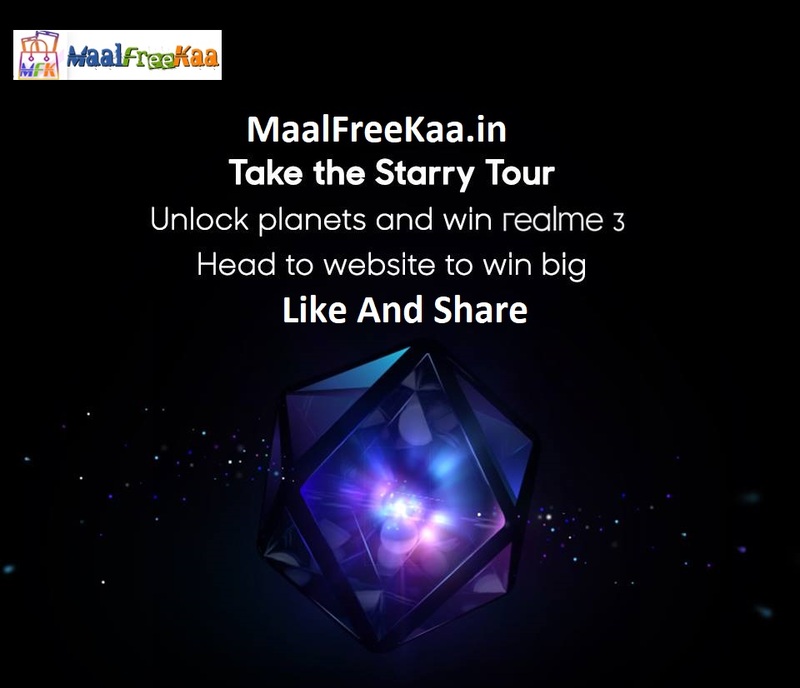 Play games, share with your friends, collect particles and win big will get 3 Starry Particles at the beginning of the contest, and 3 additional Starry Particles will send to those who have participated in realme Yo!Days, Real Public Sale and Community Posts this can be superimposed up to 9 bonus particles. After accomplishing different planet missions participants can obtain 5 Starry Particles, and the first 1000 participants who complete the mission can get 3 bonus particles participants need to login to or register realme account to for this activity. 8th Prize : All Participate Get Badge of RealMe Community Award. During the activity participants can invite friends who in turn will help them earn more particles. Every invitation can result in random increase of 1-5 Starry Particles. Sharing on FaceBook or Twitter will help the participant earn 2 additional particles. Fragment bonus will appear on realme India Official Website. Those who are lucky to find the bonus can get a chance to win 1 backpack/buds fragment on 26th and 28th Feb respectively. Particle bonus - Bonus particles will appear on realme India Official Website. Those who are lucky to find the bonus can get additional particles from 24th Feb to 4th March, except 26th Feb and 28th Feb.